In pursuit of the company’s mission of “Delighting You Always”, Canon Hongkong Co., Ltd. (CHK) as being leading imaging company is committed to delight every customer and staff by means of innovations products and technical supports, as well as gratified customer experiences. In particular the Customer Service Excellence Award 2018 organized by Hong Kong Association of Customer Service Excellence (HKACE), CHK proudly attained “Grand Award – Bronze Award” in praise of the company’s a caring and competent service. With the theme of "i-Service, I Serve", HKACE pursues to share the best practice of digital transformation that demonstrates an excellent customer service to the society. Meanwhile, CHK upholds the vision of “Closer to Customer” with customer-oriented services and is dedicated to provide a smart and intimate service experience, throughout our close relation by familiar with customers’ needs and business natures. "The award is definitely huge recognition on our effort in satisfying our customers ranging from consumers to corporate clients by providing our latest technologies with top-notch services. Our team is always caring our customer by previewed their problem and tackled proactively. We are delighted to be appreciated that our products and intimate service are value-added for customers business for facing the ever-changing market. Looking forwards, we will uphold customer-oriented service. While we continue to incorporate smart technologies, we will not forget the importance of human-touch, which is always the key of our service and truly action on "Closer to Customer" service principle." Mr. Philip Chan, Director and General Manager of Business Imaging Solution & Production Printing Group of CHK, shared his remarks. Driven by the trend of innovation technology, CHK invests smart technologies into the services, including providing solutions and products with Artificial Intelligence (AI), Robotic Process Automation (RPA) and big data integration to improve operating efficiency, liquidity and productivity for customer’s business. Throughout the launch of remote technology system (rTS) support service to enhance the telephone service and incorporate QR code on repair receipt to allow the customer to grasp the latest status on after-sales service. In addition, CHK aims to bring along a service experience that exceeds the customer's expectations. We matched engineers to dedicated customers to provide the most satisfactory service, and build a mutual trust and close relation. On the other hand, CHK created a variety, photography classes, sharing and workshops, aimed to satisfy our customer need on products operation and knowledge as well as build up the bridge to connect and grow communicates with the customer and presented our sincere service under “Delighting You Always”. CHK is convinced that happy staff services happy customer, therefore we actively cultivate the company's appreciation culture through the enthusiasm among company, staff and customer. To implement the service strategy, CHK supported staff to obtain relevant professional certification while our internal training team offers tailor-made in-house training courses, which deliver more appropriate back-up to our font-line service. Established in February 2000, the Hong Kong Association for Customer Service Excellence (HKACE) is a non-profit professional organization led by customer service professionals, comprising 12 founding members and 42 corporate members from different industries, with the support of the Government, community and industry leaders. By means of activities, awards and education programmes, the HKACE is dedicated in fostering customer service excellence in Hong Kong. 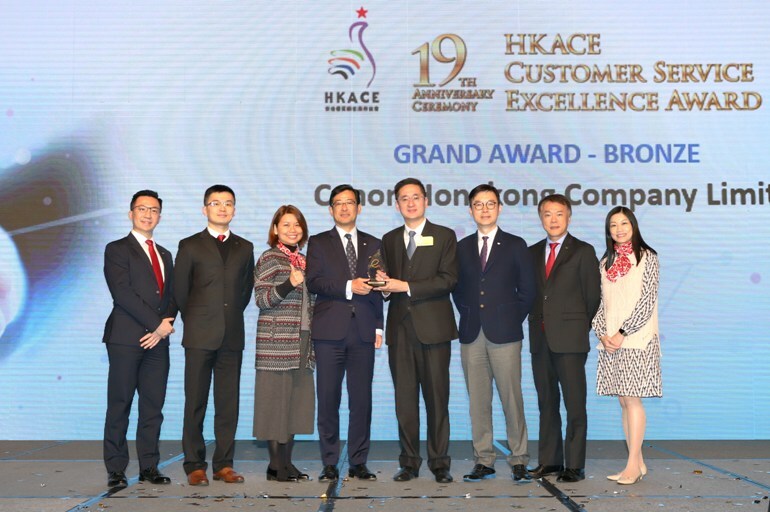 In line with the mission to promote customer service excellence among members, the HKACE introduced the Customer Service Excellence Award program in 2002. Nowadays, the Customer Service Excellence Award has become annual key event of the HKACE. By presenting the Grand Award, Outstanding Customer Service Program Award, Service Appreciation Award as well as Team Award and Individual Awards for different categories, the award motivates customer service staff, promotes a customer service culture and recognizes outstanding performers. One of the company’s first offices in Asia, Canon Hongkong Co., Ltd. (CHK) was established in 1971. It is responsible for the sales, marketing and after-sales services for all Canon product lines in Hong Kong and Macau. With the solely owned subsidiary Canon Business Solutions (Guangdong) Co., Ltd.” established in 2018, the company can also provide intelligent total business solutions and professional services to companies in the Greater Bay Area. CHK adheres to Canon’s corporate philosophy of “kyosei”, which encourages the company and its staff to participate in social, charitable and environmental activities in the community. CHK implements internationally-recognized management systems and has achieved ISO 9001, ISO 14001, ISO 27001 (Canon Digital Production Center) and OHSAS 18001 certification. For more information about Canon Hongkong, please visit our website: https://hk.canon. Photo1: Mr. Shunichi Morinaga, President & CEO of Canon Hongkong (forth left), and staffs receive the Bronze Award of Grand Award by Dr. Bernard Chan, Under Secretary for Commerce and Economic Development of HKSAR (forth right). 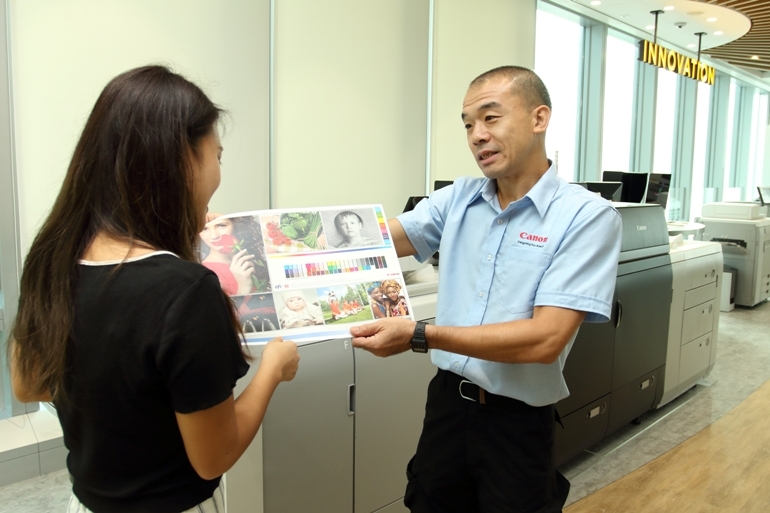 Photo 2 and 3: Canon Hongkong uses technology to provide a full range of intelligent support services, while arranged dedicated personnel matching to the customer in order to deliver a top-notch service experience. Photo 4: Holds more than 20 classes and events on each month, our team can strengthen communication with different customers.